I’m completely blown away at the results from using Grassoline on my trash. I have 80 acres of hemp which is very hard to breakdown. In the fall I applied 5 gallons of the fish fertilizer per acre on top of the hemp trash. The following spring I disked the broken down material into my soil. Your Grassoline product processed it so well that from 80 acres I was only left with a 1/2 ton pickup load of unprocessed trash! I’m a farmer on Vancouver Island and I just have to say how much Grassoline has changed my operations. I was using a conventional 20-0-0 fertilizer until my friend told me about Grassoline. I agreed to try it for a year on my 6 acre hay field at half the recommended dosage in one application. As my crop grew to the first cut I was thoroughly impressed with the quality, especially because we had such minimal rain this spring! By the time I did the first cut I was surprised to see that I got 15 more square bails too. But I was even more impressed that I was able to reduce my fertilizer costs by a whopping 30%! Now I can grow organically without sacrificing my yield and I’m helping improve my soil structure at the same time. I’ve been a farmer for a long time and using Grassoline has been the biggest game changer for me. I had no idea that using a fish based organic fertilizer could dramatically change the way I farm and in all positive ways. I’ve saved money, made more profit from my crops because it’s a higher quality organic product (and there’s more of it) and it’s helping to rejuvenate my soil! Biologicals are very important in agriculture. They are prerequisite to stimulate beneficial soil biology to keep pathogenic biology in remission. They are also necessary make nutrients available and keep available. 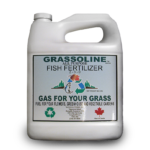 One very beneficial soil biological is Grassoline Liquid Fish Fertilizer. In today’s agriculture the use of chemicals is very abusive to the soil microbes. Though the use of high nitrogen, high salt fertilizers and herbicides, fungicides and insecticides the advantageous soil biology is weakened. In doing so the food pyramid in the soil is altered to the point that it harbours a large amount of harmful biology. The use of the fore mentioned inputs wipe out protozoa, fungi and bacteria. Without these important links in the soil web the larger soil organisms become extinct. There also becomes an epidemic of detrimental life in the soil, such as fusarium, without any biological regulators in the soil. It is important to keep a healthy symbiosis between plants, nutrients and soil biology to promote healthy plants for humans and animals since all flesh is grass. The chemicals used in farming also are very detrimental to calcium, available phosphorus, potassium, manganese, iron, zinc, and copper. Low calcium causes tight soils anaerobic conditions. Soil life is the sustaining key to keeping these nutrients ready for the plants. 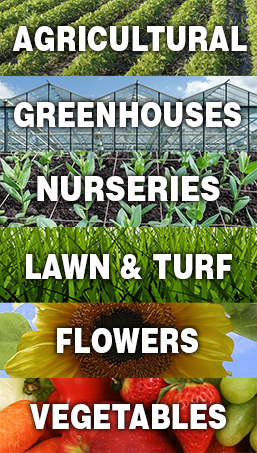 A soil stimulant is valuable in terms of keeping the nutrients available to the plants and keeping the plants heathy. Healthy plants not only produce higher yield but also capture elements, through photosynthesis, we cannot purchase such as oxygen, hydrogen and carbon. Grassoline promotes our helpful soil biology and flocculates the soil. Being a once living fertilizer it brings a full spectrum of nutrients along with which both the soil and plants benefit greatly. Grassoline can be used as a soil conditioner, in furrow as a fertilizer, foliar as a fertilizer, and as a cellulose digester. Grassoline is screened very fine and can be used through most liquid applicators such as sprayers and fertigation systems. 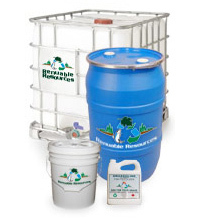 This organic product can be used in conjunction and simultaneously with herbicides and conventional fertilizers. Most biological stimulants are fish based so keep it simple and economical by using fish fertilizer. 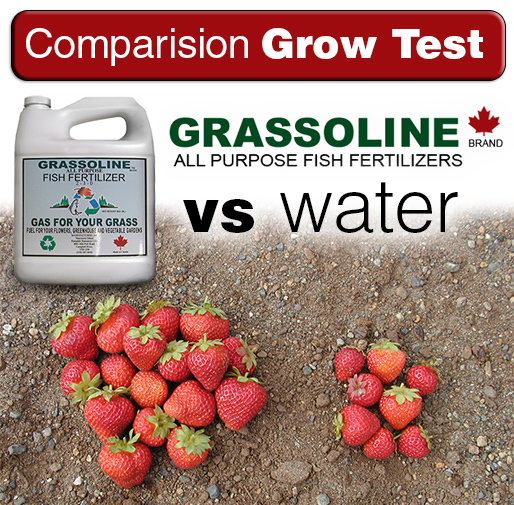 Field results have shown Grassoline Organic Liquid Fish Fertilizer can compete with and surpass man-made fertilizers both economically and in terms of yield.